It goes without saying that as an organization dedicated to scientific research, there is little room for activism at CGIAR – on behalf of gender or any other issue. We are exclusively in the business of generating science-based knowledge and building evidence, which can then be harnessed to improve agricultural outcomes where they are most needed. But that does not mean that gender has no place in our work. On the contrary, gender and inclusive growth is one of CGIAR’s research priorities, with a focus on how to create opportunities for women, young people and marginalized groups. Around the world, CGIAR initiatives are helping to reduce women’s drudgery, improve their access to information and agricultural innovation, increase their decision-making powers and incomes, and strengthen their land tenure rights, producing a ripple effect for entire households and communities as a result. To give just a few quick examples, the CGIAR Research Program on Wheat has made it easier for women to obtain small loans, while improving access to inputs in Ethiopia, Nigeria and Sudan. Throughout the continent, training sessions are enabling women to engage in agricultural value chains, and guidelines have been produced to ensure that women have better prospects for taking advantage of agribusiness opportunities. In West Africa, new parboiling technology developed by the Africa Rice Center is reducing the work burden of rural women, while improving nutrition and attracting higher prices at market. On this International Women’s Day it is worth reflecting that one of CGIAR’s key goals is for there to be 150 million fewer hungry people and 100 million fewer poor people by 2030 – at least 50 percent of whom will be women. These and other CGIAR objectives make a strong contribution to meeting the Sustainable Development Goals, including achieving gender equality and the empowerment of women and girls, but also those of no poverty, zero hunger, good health and well-being, clean water and sanitation, climate action and life on land – all of which will have a direct impact on women and their families. As part of our commitment to furthering inclusive growth for women, we launched the CGIAR Collaborative Platform for Gender Research in January 2017. Seeking to increase the visibility and impact of gender research undertaken across CGIAR, the platform showcases good practices and offers space for communities that are working to improve gender integration in their research activities. In many developing countries, women have unequal access to resources such as seeds, land, markets and information, so addressing gender differentiated preferences can play an important role in ensuring that both poor women and men benefit from research. In Mali, this approach has been adopted to good effect, helping to develop more robust sorghum varieties for women farmers, who are traditionally assigned less fertile plots than men. Another CGIAR initiative, GENNOVATE, is addressing the question of how gender norms affect the ability of men, women and youth to access and adopt innovation in agriculture and natural resource management. Conducted across 137 rural communities in 26 countries, this qualitative comparative study has confirmed that incorporating gender in agricultural research is a key strategy for successful interventions. 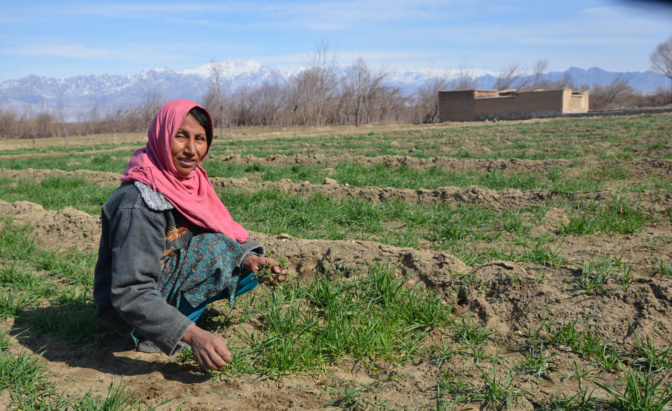 One fascinating piece of feedback from Afghanistan revealed how introducing better wheat varieties can reduce women’s workload. That is partly due to improved varieties producing cleaner wheat, which requires less post-harvest washing – traditionally the task of women. But it is also because the more abundant harvests produced by improved varieties lend themselves to mechanical threshing, freeing women to use their time on income generating or other productive tasks. As part of the same logic, if plant, livestock and fish breeders are to meet users’ needs, they must have a clear idea of the priorities that women and men assign to genetically determined traits, such as taste, color, size and shape. Failure to take account of traits important to women users can have a damaging knock-on effect on household food insecurity and poverty. In an effort to bring about a closer match between user requirements and breeding programs, CGIAR has created the Gender and Breeding Initiative, which brings together plant and animal breeders and social scientists to develop a strategy for gender-responsive breeding, with supporting methods, tools and practices. A case from Malawi shows the pitfalls of neglecting gender-based preferences. There, three improved varieties of pigeon pea, developed with market-desired traits, received zero levels of adoption, while the local Nthawajuni variety spread rapidly, dominating 80% of the planted area. Why? Because in that country, pigeon pea production, harvest, preparation and sale are the domain of women, and breeders had omitted to consult them about their requirements. The theme for this year’s International Women’s Day – Time is Now: Rural and urban activists transforming women’s lives – has prompted many of us working in the CGIAR System to think carefully about how gender research can and is opening up new opportunities for women, and the households that depend on them. 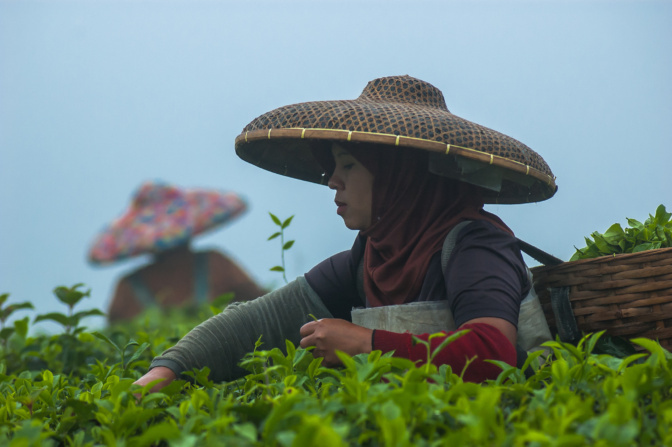 Read what other leaders from CGIAR are saying on this important issue, and find out more about how gender research is having a real impact on agriculture and natural resource management. The 2018 theme for International Women’s Day, 8 March, was: “Time is Now: Rural and urban activists transforming women’s lives”. This theme inspired the CGIAR gender community to reflect on the role of gender research in transforming women’s lives in agriculture, aquaculture and natural resource management. We were pleased to share perspectives from CGIAR leadership (Program and Center Directors), from Gender Research Coordinators, from several gender scientists engaging in field work, and from the CGIAR System Management Board. CGIAR greatly appreciates the contributions made by all our funding partners, without which none of our work would be possible. See our funders.